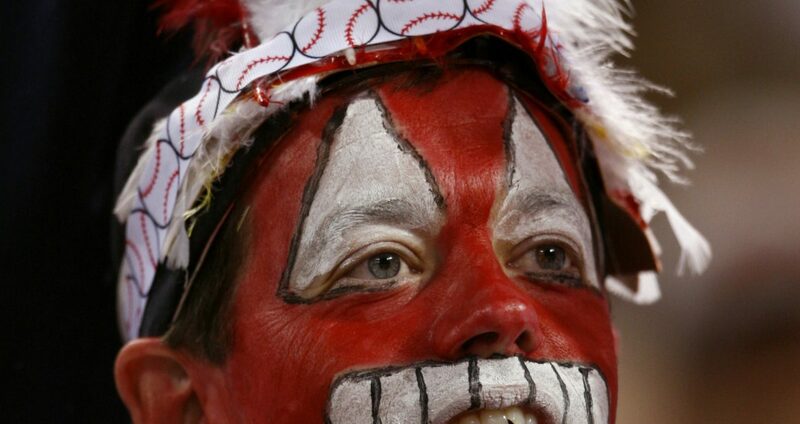 For years, many have said that sports teams with Native American mascots – the Cleveland Indians, Chicago Blackhawks and Florida State Seminoles, to name a few – perpetuate stereotypes against Native people. Others have argued that these mascots are harmless; if anything, they symbolize reverence and respect, while honoring the history of Native Americans. At the epicenter of the debate have been the Washington Redskins, a football team worth nearly US$3 billion. But as the Redskins kicked off their season on Sept. 12, there was hardly a mention of the name controversy that has, in recent years, elicited boycotts, lawsuits and protests. Perhaps it’s due to the Washington Post survey from last spring finding that 90 percent of the Native Americans polled weren’t offended by the Redskins name. Since then, defenders of the name – including team owner Daniel Snyder – have considered the controversy over and done with. The “sticks and stones” argument suggested by the poll makes complete sense from a self-preservation standpoint; after all, Native Americans have had to persevere through worse offenses than mascots. But that stance ignores the dangerous possibility that such ethnic names and imagery affect how other people view Native Americans – possibly in subtle and damaging ways. In our lab, we showed participants an unfamiliar mascot; some were shown a Native American image, while others were shown an image of an animal. We then measured how strongly all participants associated Native Americans with “warlike,” a stereotype leveraged by many sports teams that use Native mascots (“Braves,” “Warriors”). When asked directly, participants, regardless of the mascot they saw, reported no differences in how warlike they thought Native Americans were. But when participants completed an indirect – or implicit – stereotype measure, those who’d viewed the Native American mascot were more likely to associate warlike qualities with Native Americans. Implicit bias can influence decisions ranging from hiring practices to jury preferences and criminal sentencing. And it’s all the more pernicious because the people making these biased decisions are unlikely to be aware that they’re doing so. These lab results prompted us to try to replicate our findings in a real world setting. 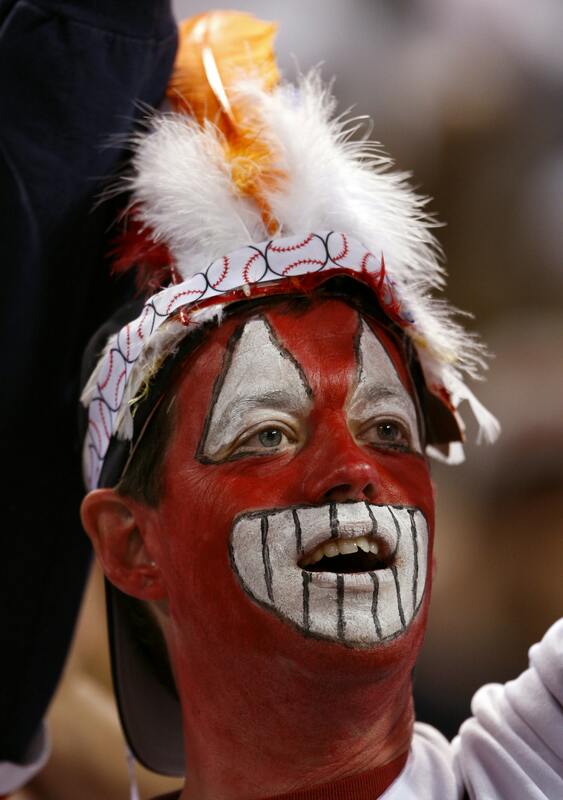 If the media market you live in determines how often you’re exposed to a Native American sports mascot, we would expect to see differences in attitudes toward Native Americans between people who live in cities with Native American-themed sports franchises and people who don’t. Indeed, our results showed that people living in cities with Native American mascots were more likely to think of Native Americans as warlike. Using the same implicit measures as our earlier study, residents of Cleveland were more likely to associate Native Americans with warlike traits than residents of Atlanta, Detroit and Miami. But studies have shown how stereotypes of any kind – even positive ones – carry consequences. They can lead to performance anxiety, as Sapna Cheryan and her colleagues found when looking at stereotypes concerning Asian Americans’ math ability. Subsequent studies have shown how experiencing a positive stereotype can make people expect future prejudicial treatment. Many prominent brands, such as Aunt Jemimah, Uncle Ben’s and Land-O-Lakes Butter, actively promote certain stereotypes. And as our study showed, these representations can change how we think about the actual members of those groups – often without us even knowing it. So when it comes to the Washington Redskins – despite the results of the spring poll – the evidence is clear: The presence of the name subconsciously causes people to stereotype Native Americans. Even President Obama has weighed in, recommending a new name.